Re-Ignite is a ministry division of ChurchHealth. Your tax-deductible donations help support our ministry with pastors, churches and leading-edge Boomers. Pray. Learn more about current ministry needs in our newsletter. Shop Amazon Smile and designate your donation to ChurchHealth. Be a part of our 20/20 Vision! 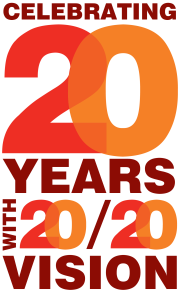 Click here for a brochure about our 20/20 vision.